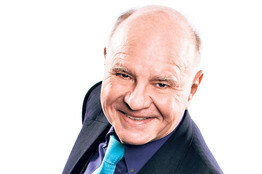 Marc Faber : In the Western world, the central banks and the academics hate gold because they personally never owned it. Especially since 1999, despite the recent setback, gold has significantly outperformed equities. The central bankers and the academics at universities that are neo-Keynesian, in other words, the idea of more and more government intervention and more and more expansionary fiscal and monetary measures, these people hate gold. If they have the opportunity to take it away, especially if, as Eric Sprott maintains, that the gold is not even there, they would have an incentive to buy the gold at the low level, once they collect all the gold, reevaluate by ten times.